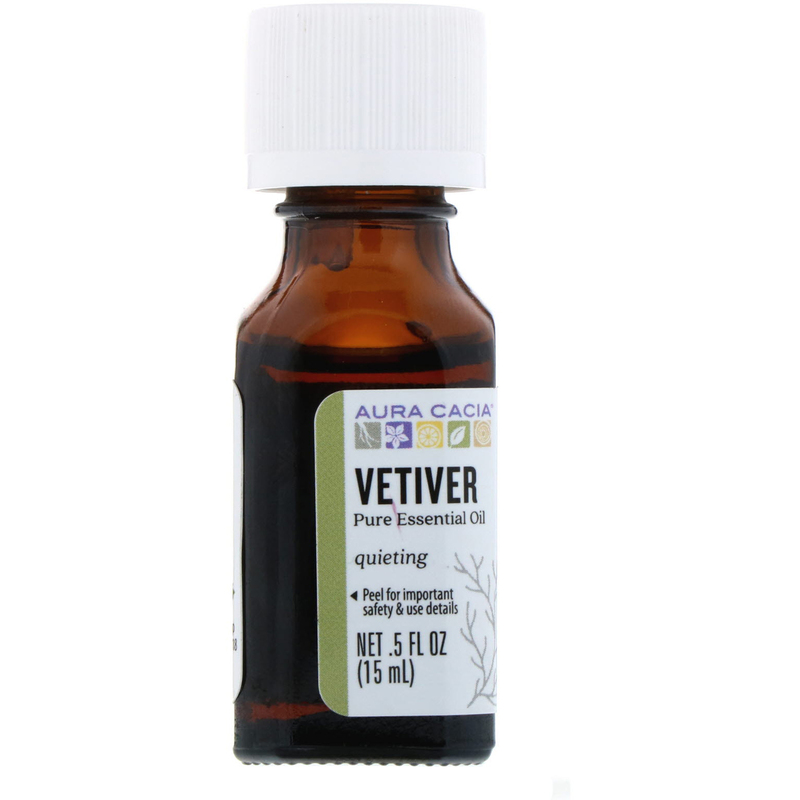 Aura Cacia vetiver is well Earth certified to support the grower community. Use For: Evoking a sense of quieting. Blend 24 drops with 2 fl oz water in a mist bottle for a quieting room spray. 3 drops vetiver 2 tbs grapeseed oil. Open a 31 oz. 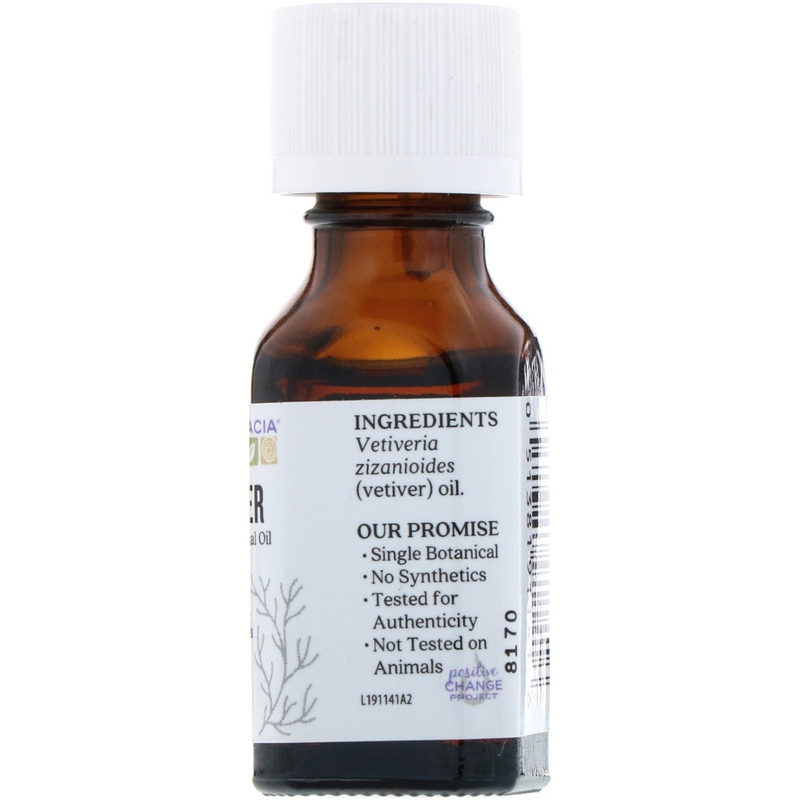 roll-on bottle, add vetiver and top of with grapeseed oil, replace fitment and lid, shake well and apply to wrist and pulse points.